I've completed an extract of the forthcoming 'Levers' ebook. 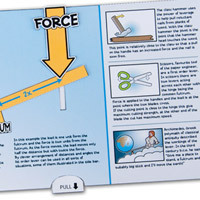 This is a pull-the-tab picture to print out and make showing how first order levers work. If you're a paid subscriber you'll be able to download it for free by following this link. OOoo! I love the way the layout of this ebook looks, Rob! It looks so bite-sized and understandable. Just what I wished for in order to grasp automata mechanisms more concretely. I think I'm going to be hooked on this series…. Nice work! Thank you! Thanks Shelley! My plan at the moment is to have four or five of these moving pages and some static pages with further explanation. I was going to include a couple of working automata as examples but I think it might be better to add them to the store/subscriber area and point people at them from the ebook. How does that sound?